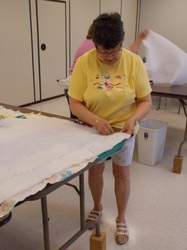 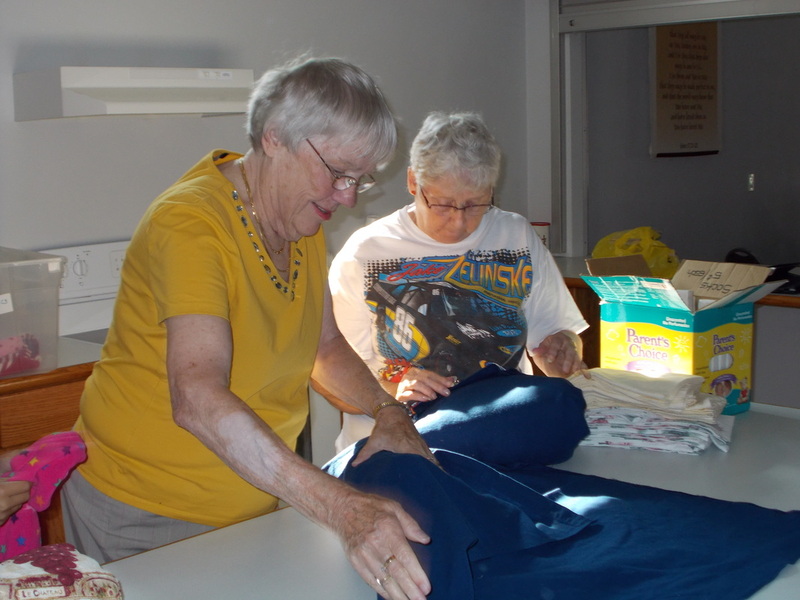 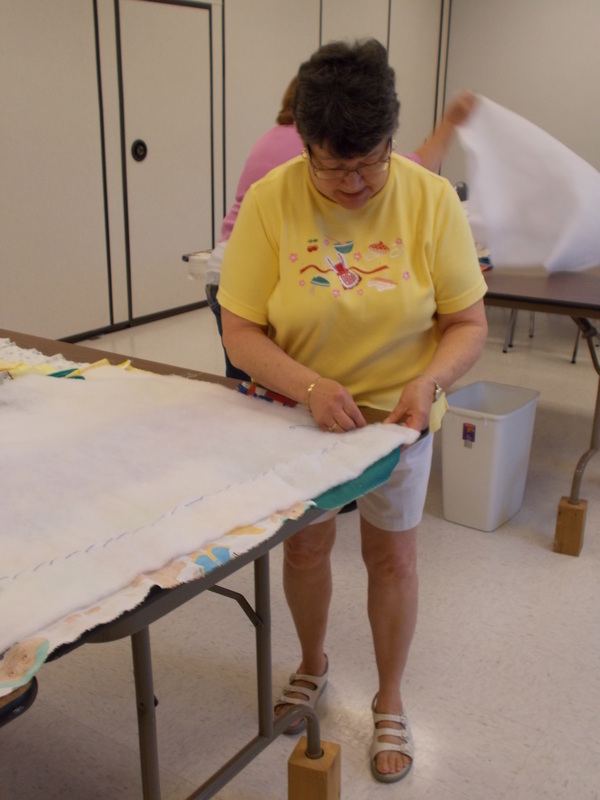 The Quilting Angels have been making quilts for over “40” years. 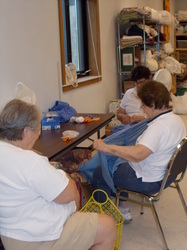 The last few years they have made over 500 quilts a year. 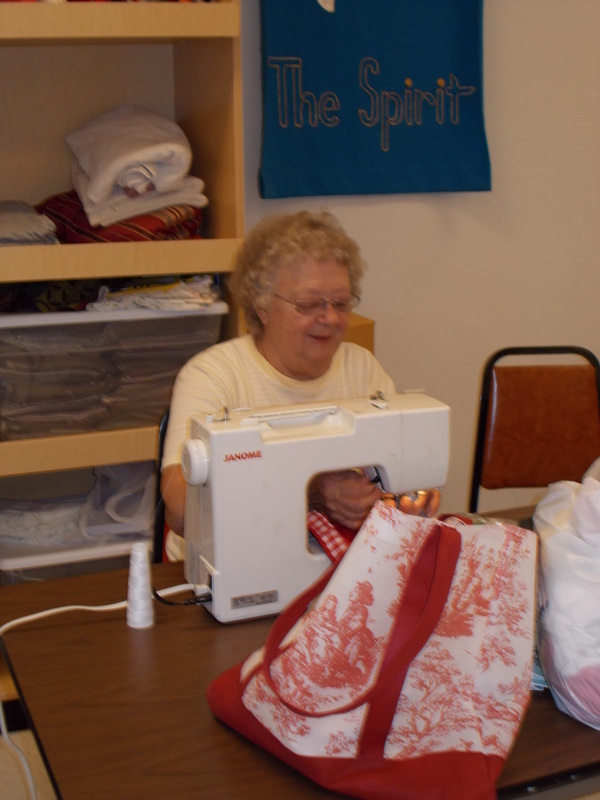 About half of them are sent locally to Salvation Army, Emergency Shelter, Red Cross, Community Clothes Closet, Lutheran Social Services Group Home and Christine Ann Center to name a few. The other half are sent overseas to Lutheran World Relief for disasters and refugee locations. 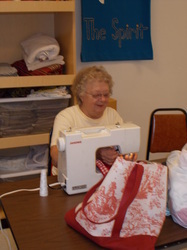 We accept all material, yarn, and quilting supplies and we welcome helpers--even if they do not know how to sew. We meet Tuesday mornings 9:00 a.m. to 11:30 a.m.